According to Universal Lubricants of Wichita KS, recycled oil is not only of better quality than oil made from raw petroleum, but prevents the consumption of two barrels of raw crude with every four-quart oil change and lessens the release of pernicious emissions from processing up to 65 percent. Universal Lubricants is the nation’s foremost provider of recycled oil, labeled ECO ULTRA at auto supply stores, and is celebrating the first anniversary of their partnership with Brooks Automotive of Salem OR. "The case for switching to re-refined oil is clear and compelling," said Samuel Blower, president of Brooks Automotive. "It boils down to understanding one simple, but often surprising, fact: that spent oil is a higher quality feedstock than a virgin base. The logic and the science follow that because re-refined options begin with a used substance that elevates the starting grade, the final product ends up being superior, too. That's why ECO ULTRA has been Brooks' engine oil of choice for the past year and why we've seen increasing numbers of automotive shops and fleet operators opt for it, too. Re-refined oils are simply better, both for the environment and for engines." The U.S. drains roughly 1.3 billion gallons of used engine oil from cars and trucks each year and only 20 percent of that is recycled and re-refined. The rest is either inappropriately dumped in landfills or burned as an industrial fuel, wasting oil reserves and adding to the demand for imported oil. Universal Lubricants, using a registered Closed Loop Process, is reversing this trend by establishing the only refinery in country with complete control over every aspect of this proprietary system. Unlike competing refineries, Universal Lubricants is currently the only company collecting, re-refining, blending, packaging and distributing recycled oil. At no time during this process is guardianship lost over product quality, creating a perpetually repeatable and sustainable cycle. In addition to ECO ULTRA recycled oil’s other environmental benefits, it actually takes 89 percent less energy to refine. "Celebrating milestones such as one year anniversaries with our trusted business partners encourages us to reflect on all the advancements our companies have made, together, during these periods," said John Wesley, Universal Lubricants' chief executive officer. "One year ago, Brooks Automotive hadn't heard of re-refined engine oil. Now, it needs upwards of 100 gallons of ECO ULTRA® every few weeks to satisfy demand. What's doubly exciting is the recognition that this sort of success story is representative of hundreds more. Automotive dealers, shops, and fleet operators across the country are demanding more than just standard performance; they're demanding performance that makes a difference and they're choosing ECO ULTRA." 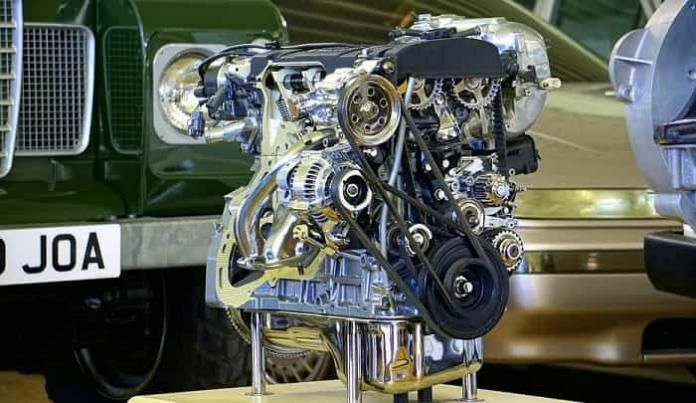 Major automobile manufacturers including Ford, GM, Chrysler, Honda, Toyota and Mercedes readily accept the use of API-approved oils made from re-refined base stock. Of all the material extracted through the re-refining process, Universal is pleased to report that only 1/10 of 1% is unable to be re-purposed, stated Joseph Franceschi, Universal Lubricants, LLC Engineer. “This small amount is disposed of in strict accordance with hazardous material guidelines. Without denying the ecologically good intentions of Universal Lubricants and the wisdom of using recycled oil, a quick tour of nearby auto supply stores and retailers including O’Reilly Auto Parts, the local supermarket, K-Mart and Pep Boys revealed no trace of the company or their product. However if you need enough of it to warrant shipment, it is available via online order from their website. We can also tell you ECO ULTRA was picked as the Official Green Product of the Association of Independent Oil Distributors this week, according to post on Reuters Tuesday.